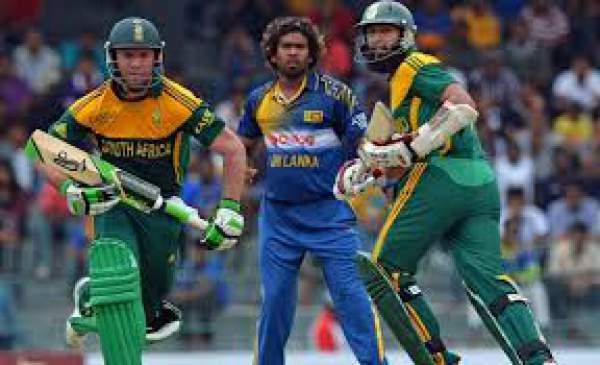 South Africa vs Sri Lanka (SA vs SL) live streaming 3rd T20 cricket match is here available on the page. You can watch SriLanka v South Africa (SL v RSA) 2017 game online. It is the third T20I of the ongoing three-match T20 series between the two nations. It will be played at Newlands in Cape Town and hosted by the Proteas on January 25. The 3rd T20 match is scheduled to start at 16:00 GMT and 9:30 pm IST. SouthAfrica is playing with just four players who were the part of the World T20 Cup 2016 tournament. Rests are the new ones. Watch South Africa vs Sri Lanka live streaming SA vs SL and live telecast on tensports.com and Ten Sports TV channel respectively. Sri Lanka cricket team is in desperate need of a victory to clinch this series. They were out beaten by the hosts in the three-match Test series. The hosts whitewashed the Tests. It is the third and final game of the competition. Thus, it becomes necessary as both the teams have won one game each so far in the two matches. Share: Happy Republic Day Images. SriLanka will be playing without Angelo Mathews (captain), and Nuwan Pradeep this time. They may be unavailable to play in the upcoming five-match One-day series too. In the absence of Mathews, Dinesh Chandimal will be the interim skipper. SA won the first game by 19 runs while SriLanka won the second match by 3 wickets. As of now, the series ties at 1-1. From the South African end, all will be eager to see how Lungi Ngidi will perform with the bowl. He has performed very well so far. The 20-year-old paceman who belongs to Durban has taken 6 wickets in the last two games. His best was 4 for 19 runs in four overs. With his extraordinary performance, he has made himself a place in the ODI series. The ODI showdown starts on 28th January 2017 at St George’s Park in Port Elizabeth. South Africa: Farhaan Behardien (capt), Theunis de Bruyn, Reeza Hendricks, Imran Tahir, Heino Kuhn, David Miller, Mangaliso Mosehle (wk), Lungi Ngidi, Wayne Parnell, Dane Paterson, Aaron Phangiso, Andile Phehlukwayo, Jon-Jon Smuts. Sri Lanka: Dinesh Chandimal (capt, wk), Dhananjaya de Silva, Thikshila de Silva, Niroshan Dickwella, Asela Gunaratne, Nuwan Kulasekara, Suranga Lakmal, Kusal Mendis, Sachith Pathirana, Seekkuge Prasanna, Lakshan Sandakan, Isuru Udana.